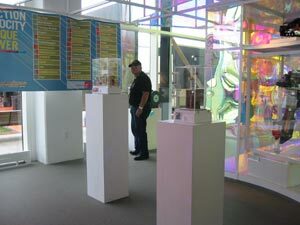 CMT have a number of automata on display at Discovery World as part of the new exhibition ‘Milwaukee Muscle’. 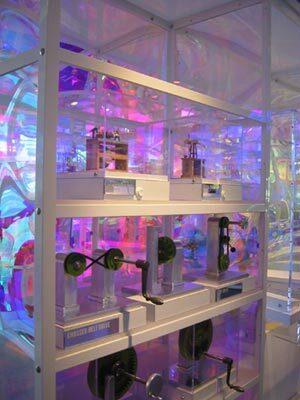 It is packed with devices designed to show visitors how machines work. 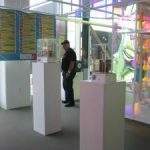 The “Milwaukee Muscle” exhibit is wall-to-wall constructs, from simple hand-crank gear systems, to more complex automatons that move with a push of a button, to basic robots that look as if they were made with Erector sets. There also are dozens of cutaways of engines, transmissions and other equipment, mostly compliments of Briggs & Stratton, the sponsor. And these aren’t just bisected models so you can gawk at the insides – they’ve been outfitted with cranks so you can pump the insides and see their internal workings in action. The goal is to unmask some of the mystery about modern mechanics in an in-your-face, hands-on approach, as well as offer classes that provide a “real-world component showing mechanics in daily life,” says Paul Krajniak, Discovery World’s executive director.